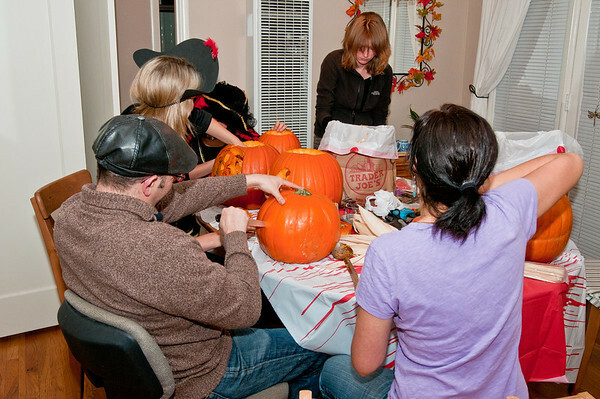 Hard at work carving pumpkins! 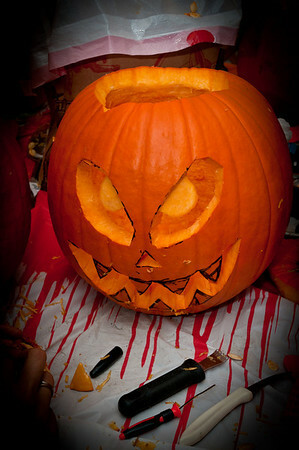 This pumpkin is bleeding blood -- it's so scary! 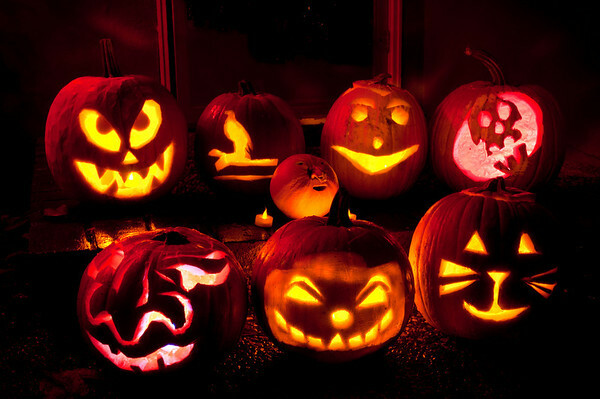 Our pumpkins, all finished and lit up! 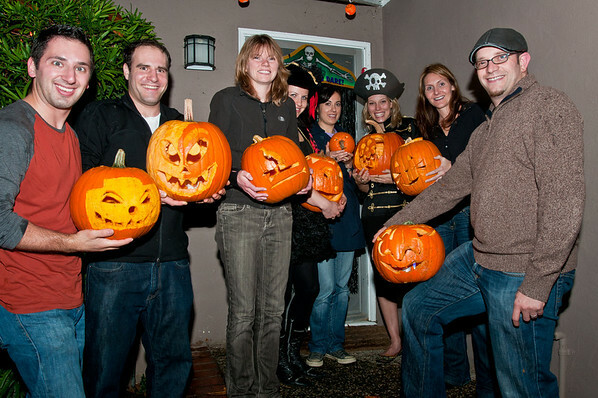 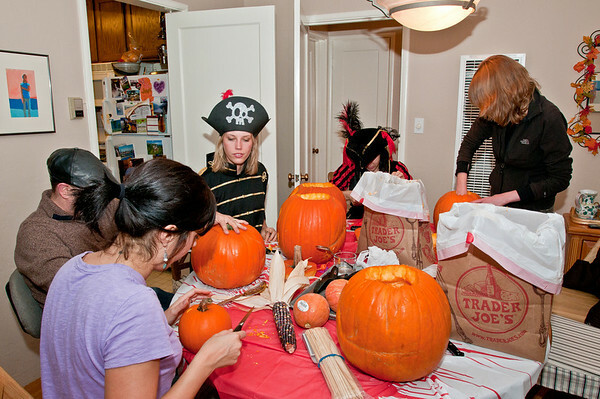 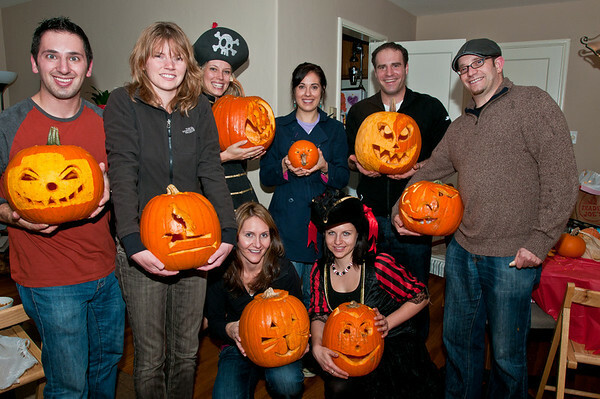 The pumpkin carving crew -- funny, crazy, scary pose!